Strategically, the Rubezh is especially valuable because it can change its trajectory during flight making it harder to intercept. Its Re-Entry Vehicles (RVs) are maneuvering and can overcome most air defenses. 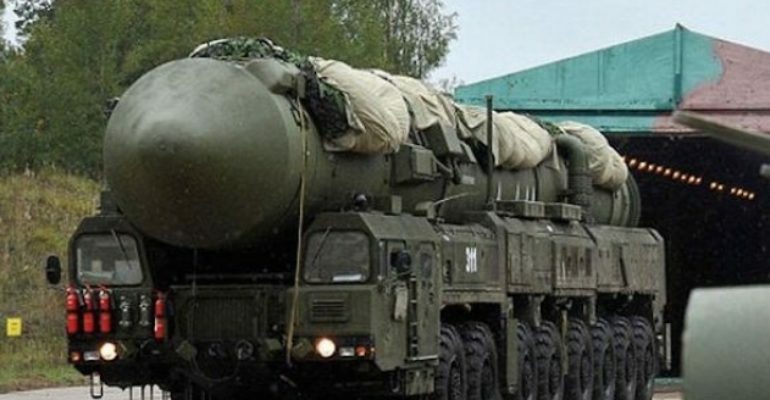 [vi] Russian sources even estimate that up to 35 interceptor missiles are required in order to neutralize the RS-26. Also, as a road-mobile missile it is more survivable. [vii] Being road-mobile it is harder to detect, hit, and can leave their bases to operate in remote areas. The mobile launcher has autonomy on roads of 500 km, allowing it to operate undetected in an area equivalent to a small European country. [viii] This means the missiles are more likely to survive a first strike.